Emily represents clients in business litigation, antitrust and franchise litigation as well as labor and employment issues. She represents both franchisors and franchisees in litigation and transactional contexts. Emily assists clients in a range of labor and employment issues, including noncompete/nondisclosure agreements, discrimination claims and claims under the Fair Labor Standards Act. She also has experience regarding insurance coverage issues, including property damage related to hurricane and arson losses. In addition, Emily has experience in real estate litigation, with particular experience in landlord/tenant evictions, including matters involving housing subject to HUD regulations. 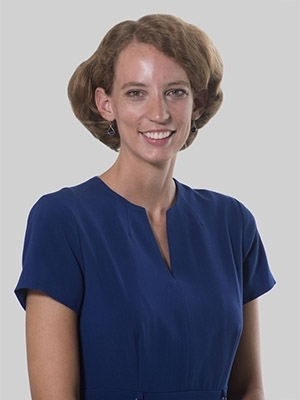 Emily was an associate at Smith Moore Leatherwood LLP, which merged with Fox Rothschild in 2018. While in law school, Emily served as editor-in-chief of the South Carolina Law Review. Her academic honors include Compleat Lawyer Award - Bronze (2015); Order of the Coif (2015); Order of the Wig and Robe (2014); Richard J. Foster Award (2013); J. Waties Waring Scholarship (2012-2015); CALI Award for Civil Procedure (2013), Evidence (2014), Appellate Advocacy (2014) and Civil Litigation Capstone (2015); and the John Belton O'Neall Inn of Court (2014-2015).